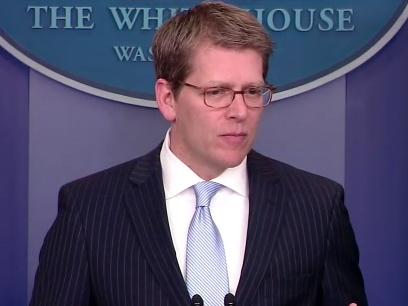 Carney: Calling GOP "Flat-Earthers" Was A "Policy Message"
Jay Carney, White House: "It seems even talking about alternative energy sources is funny and I think calling them flat-earthers is appropriate." Mark Knoller, CBS News: "Isn't that a campaign message?" Carney: "No! It's a policy message. We believe we have to do this for the sake of America's economic future. It is simply not an option to say that we can keep drilling with two-percent of the known oil reserves in the world when we consume 20-percent of the world's oil. I was a mediocre math student, but that doesn't seem to work out." Biden: Republicans Will "Bankrupt The Middle Class Again"